“SF Sewer – FDYR Made in USA” 34×34″ Original Artwork made directly from a utility cover in San Francisco, CA. “SF Cali” 32×32″ Tribute to the Giants Original Artwork made directly from a utility cover in San Francisco, CA. 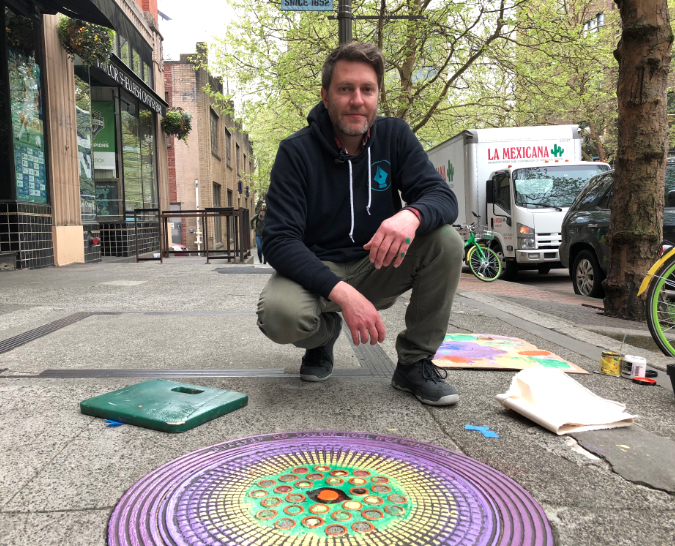 The project started over a decade ago with an admiration for a particular utility cover in downtown Seattle and a spontaneous idea to make a relief print directly from the street. That sparked a new found love for graphic design, the history beneath our feet, and making art.